Eases strain on low back (lumbar) and neck (cervical) discs most prone to injury. Simple exercise easy to incorporate into your daily routine. 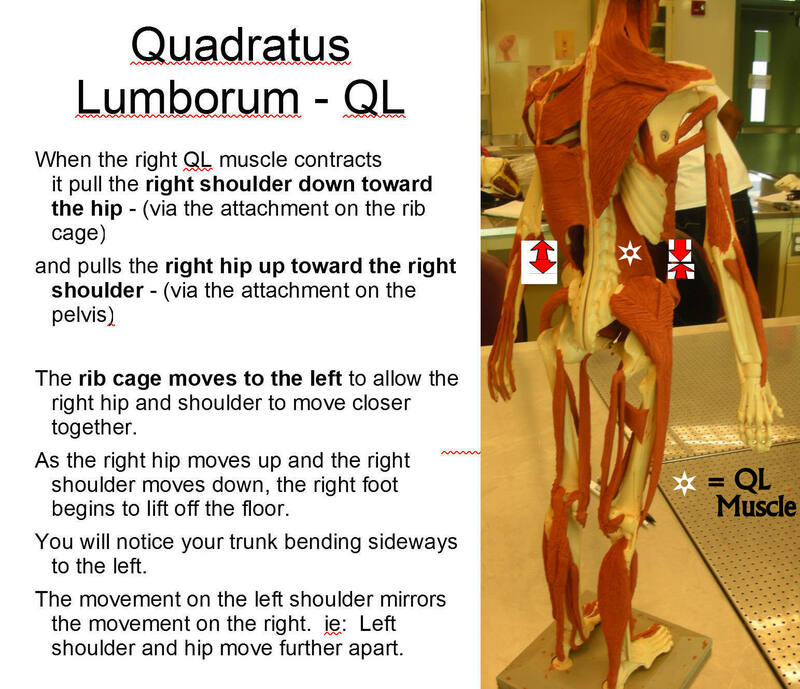 Definition of the QL Muscle and its actions. Get started now – Watch videos. Locate asymmetrical stiffness/weakness (right side different than left) or stiff regions in your spine. Same exercise helps you to locate differences between the right and left then work to erase left vs right asymmetry. Easy to do throughout the day -Standing in line at the grocery store – sitting at your desk – one a plane – in a car. With practice, you get the best benefit with very small movements that target the area of weakness, stiffness or lacking coordination. There is benefit from both a larger stretch and a small stretch – almost undetectable to the person standing or sitting next to you. Copyright © 2019 Back and Body Care .